There are countless factors to consider when planning a relocation, and having short- or long-term storage for your household items can help ease the transition to your new home. When you want to save money and get the customized moving and storage services you need, Charlotte Van & Storage is here to help. 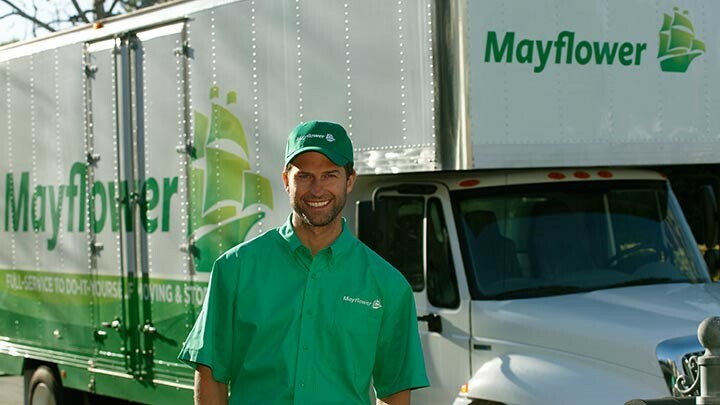 As a long-term agent for Mayflower Transit and an experienced, trusted, local moving company, we offer comprehensive support that makes your next relocation a seamless, hassle-free process. At Charlotte Van & Storage, we have been a reliable, professional Charlotte moving & storage company since 1955, and we’ve built our reputation on providing full-service support and outstanding customer care. To get you started, one of our friendly movers will come to your home to help you choose the right solutions for the unique needs of your relocation. Whether you need short-term storage to clear out space while packing or want affordable long-term storage to complement your long-distance moving services, you can rely on us to offer solutions that fit within your budget. When it comes to moving and storage services in Charlotte, our company is the leading name for quality, value, and affordability. All of our storage facilities are fully secured with 24/7 surveillance and climate-controlled vaults to protect your valued belongings, and you can rest easy knowing that our professional team will keep your items safe and undamaged for as long as necessary. Learn More About Moving and Storage Solutions in Charlotte Today! At Charlotte Van & Storage, our moving and storage company has one top priority—helping you get the most out of your budget for an exceptional moving experience. To learn more about how we can simplify your next move with combined moving and storage solutions, give us a call today. You can also request a free, no-obligation estimate now by submitting our brief, online form.